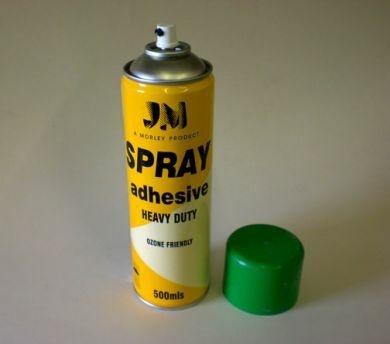 An aerosol spay glue with excellent "grab" especially when applied to both surfaces and allowed to dry a little first, Works well on fabric plastics, card, plaster etc. and even on dusty surfaces. Over-spray can be easily removed with white spirit. The 500ml can is quick and economical in use. For removal of over spray use white spirit.